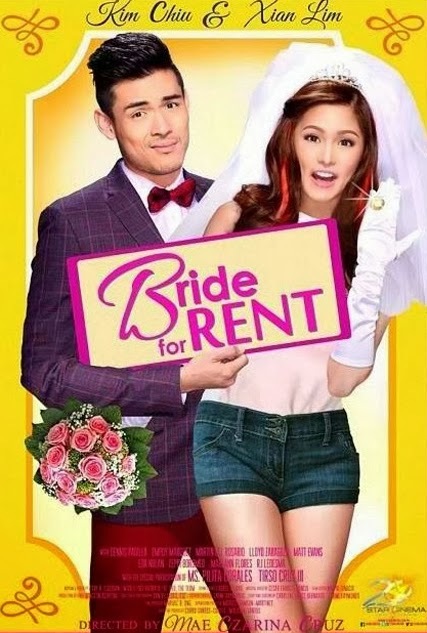 Taking its cue from the success of Bakit Hindi Ka Crush ng Crush Mo which ranked as one of the most watched Filipino films of 2013, Star Cinema brings back Kim Chiu and Xian Lim in Bride for Rent. Set to be released on January 15th, Bride for Rent is the studio's first offering for 2014. So far, it looks like the typical Star Cinema romcom moneymaker but hey, we may still hope for some quality here! After all, expectations reset at the start of the new year. This I'll say though, for Christ's sake it is 2014 already! I don't think it is too much to ask a major film studio in the country to release HD trailers! These 360p/480p videos are sooooooo third world! Check out the 380p full trailer of Bride for Rent below.